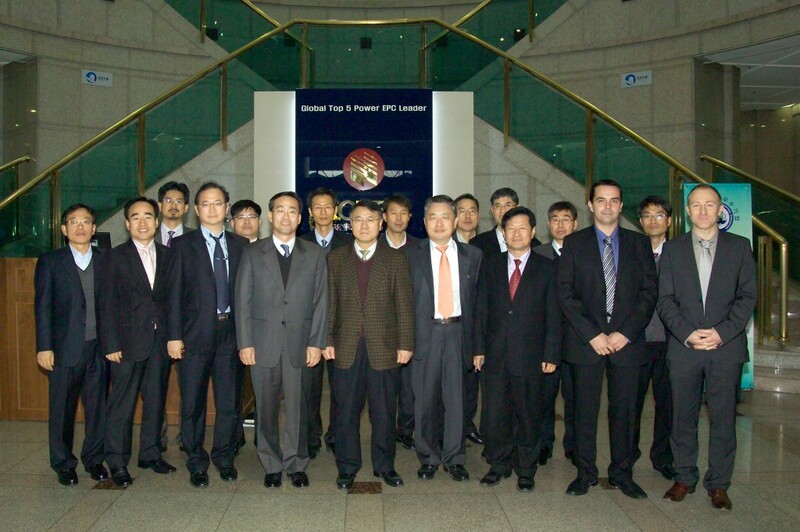 From left to right: Hyeon Gon Lee (Korean Domestic Agency, KO-DA), Jong Min Kim (KOPEC), Se Won Lee (ITER Project Manager KOPEC), DDG Yong Hwan Kim, Kijung Jung (KO-DA Director General), Joel Hourtoule (SSEN Section Leader ITER), Ingo Kuehn (Design Integration Section Responsible Officer, ITER). 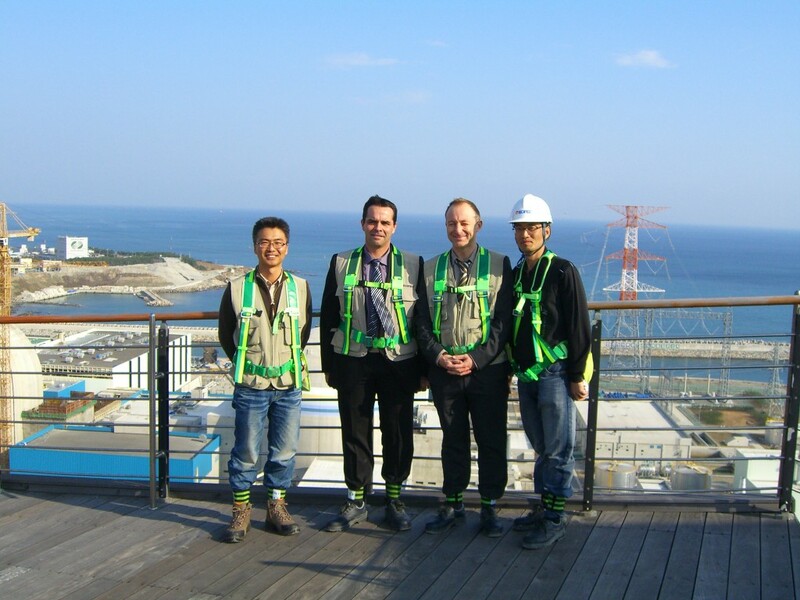 In Shin-Gori, Joël Hourtoule, Ingo Kuehn and Korean colleagues pose in front of the soon-completed nuclear plant. There are more than 400 kilometres of power cables winding through the ITER installation. Whether medium or low power, whether they feed the plants or the diagnostic systems, they all share "cable trays" that have to be designed very carefully. "In order to optimize cable management," says Joël Hourtoule, ITER's Steady State Electrical Network (SSEN) Section Leader, "one needs to collect information from all the different users of all the different cables. It is a complex task for which KOPEC, the Korea Power Engineering Company, is providing support in the preparatory work." Last week, ITER Deputy Director-General Yong Hwan Kim and representatives from the Electrical Engineering Division (EED) and Integration group (CIE) flew to Korea for a six-day visit. The program included meetings in Seoul, at KOPEC headquarters; a visit to Daejeon where the Korean Domestic Agency and K-STAR are located; and a walk-by of the near completed Shin-Gori nuclear power plant in the southern region of the country. In Seoul, Deputy Director-General Kim, Joël Hourtoule and Ingo Kuehn (Technical Integration Division), gave presentations on different aspects of the ITER Project. KOPEC presented the work already performed for ITER and meetings were held in order to decide on the 2010 working plan. In Shin-Gori, KOPEC delivered an impressive demonstration on their nuclear experience. Particularly interesting for ITER are the integrated processes the company implements to manage the different stages in the construction of a nuclear power plant. "This will prove very useful," says Ingo Kuehn, "in view of the upcoming implementation of an engineering database in the ITER Project."